As always, I’m a bit behind in my posts. As Maxwell Smart would have said, sorry about that! Late in the summer, I met an old friend in the booming metropolis of Mentor, Ohio so that we could take in the James A. Garfield National Historic Site. Yes, that’s right, I took a break from hanging out with A-List, above the fold, Bold-Faced Names to do something even more A-list, above the fold, and bold-faced for a change. And what’s the most A-list, above the fold, bold-faced-est thing that you can think of within 221 miles of State College in a west northwest direction? That’s right, the James A. Garfield National Historic Site. 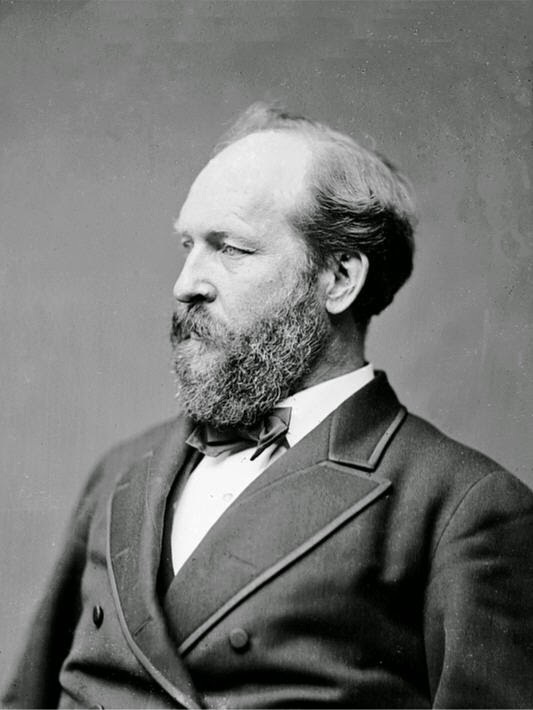 In the unlikely event that you were dozing during the nanosecond when President Garfield was mentioned in your high school history class, James A. Garfield was president in the era when presidents looked like Brooklyn hipsters but without the tats, ear-gauges, or skinny jeans. That’s right, he was one of those shaggy-bearded white guys who served as president between Abraham Lincoln and Theodore Roosevelt. He was the last president born in a log cabin and the first president whose mother lived long enough to attend her son's inauguration. 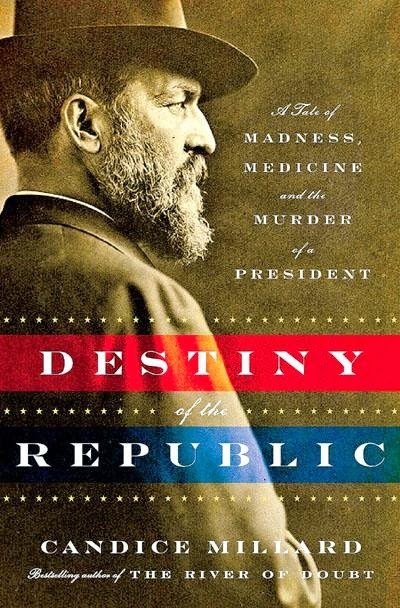 As Candice Millard’s book Destiny of the Republic will tell you far better than I can, four months after his inauguration he was shot by a crazy person in a train station in Washington, D.C. and then had to endure the best medical care America. This consisted of doctors poking him with dirty medical instruments until he died a couple of months later. This was before submitting insurance forms until you die became standard American medical practice. Garfield is well known among American History geeks for his "Front Porch Campaign". Instead of gallivanting across the country, he let voters come to him and so he gave many campaign speeches from his front porch. Although the correspondence has unfortunately been lost, oral history tells us that one of his neighbors narked on him and so Garfield received numerous nastygrams from his neighborhood association. Political speeches and large torchlit gatherings of the hoi polloi were specifically prohibited in the Arboreal Dell Farmettes of Mentor Neighborhood Association covenants. Garfield is said to have remarked to his wife that this was what they got for living near Democrats. 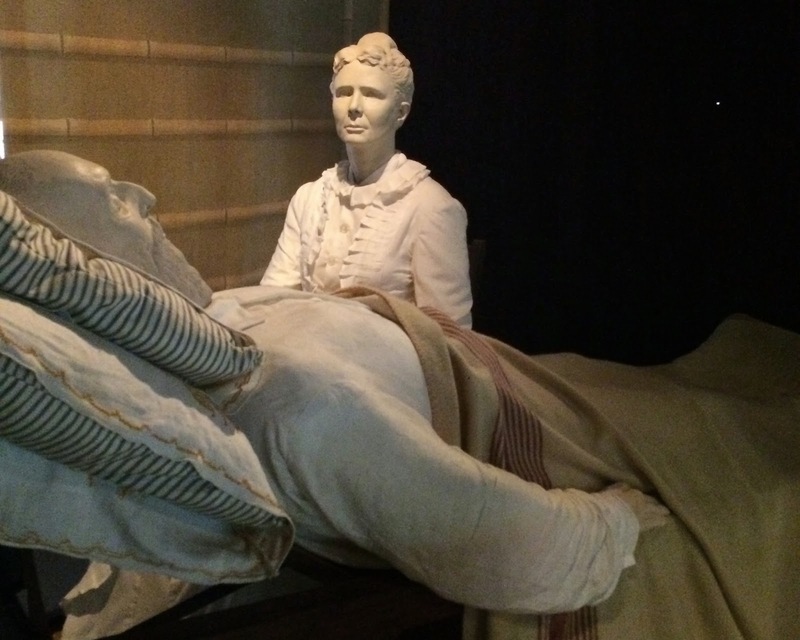 After her husband's untimely demise (he didn't live to his first Presidential payday. Seriously.) Mrs. Garfield, a woman with the unfortunate name of Lucretia, collected all of her late husband’s papers and stored them in a fireproof vault that she’d added to the family home. I don’t know if she did anything especially creepy like going into the vault to caress and talk to the papers, but she still had them right there, next to the family’s living room. You could say--if you were prone to fits of hyperbole--that this was America's first presidential library. For it to truly have counted as the first presidential library she would also have to have opened the requisite gift shoppe and licensed her husband's image to manufacturers of specialty items such as coffee mugs, spittoons, and guest soaps. The site’s been a museum forever, has lots of artifacts that belonged to the Garfields, and employs guides who are knowledgeable without being patronizing. If you’re a windmill aficionado, there’s even one of those to check out. There is even a restored "gas house", something near and dear to fart joke lovers everywhere. After our tour, my friend and I drove to the nearby town of Willoughby to find a trendy boite where we could eat lunch. The town was having some sort of parade, always a good time in my book. We stopped in an secondhand store where I almost bought talking Richard Nixon Doll. Yes, if you pushed the button it really would say “I am not a crook.” Now that marriage equality has come to both the Commonwealth of Pennsylvania and the Presbyterian Church USA, the Nixon doll would have made a nice spousal unit for the Talking Moses Doll that’s a perennial favorite in my church's annual fundraising auction. After thinking about RMN, the Doll, for precisely 18 1/2 minutes--the length of the gap in the Watergate tapes, I decided that Moses could remain a bachelor for another year, or at least until I found a doll with a less pronounced five o'clock shadow. I'll be going back to Ohio--it has plenty of other presidential sites to check out. I'm not sure if Carol Doda has been to any of them but I'm certainly going to ask. N.B. The Garfield Home is closed from September 2 through March, 2015 for the installation of a new geothermal heating and air conditioning system. The Visitor Center and Grounds will remain open during this time; Tuesday-Saturday 10am-5pm.